In an earlier blog this year I shared my belief that I blog not because I necessarily want to or have extra time on my hands, but that I really feel compelled to blog. To stop blogging was, at that stage, unthinkable. Then suddenly I lost my rhythm and the number of blog posts declined rapidly (compared to blogging in 2012). The total tally for 2013 currently stands at only 4 blogs (January 7, January 21, May 22, and June 18). Often when colleagues commented on my prolific blogging during 2012 I responded that there is so much happening in the general context of higher education and more specifically in the fields of open, distance and e-learning (as well as in my home institution), that I never seem to run out of topics to reflect/comment on. And then it happened – I somehow lost my rhythm, my voice, not due to a lack of things to reflect and comment on, possibly to the contrary. Reflecting on the reasons for my feelings of being tongue-tied or speechless, there is nothing specific that comes to mind. Not only do I suspect that there are many possible reasons, but the reasons are also interconnected, interdependent and layered. Was I feeling overwhelmed because there was just so much happening? Or did I become bored with the seeming navel gazing exercises in higher education on the shape, impact and future of massive open online courses (or the many derivatives that since arose)? It also seemed that if you did not blog on some or other technology and how it was to be the solution to all of education’s problems, that you were irrelevant. It was (and possibly still is) unthinkable not to fetishize some or other technology and claim the space to have been the first one to have identified it as a solution or a trend. Or was the fluidity and liminal spaces I currently experience in my professional and personal lives to blame for my speechlessness? Or did the changes or contestations regarding the need and pace for change in my home institution paralyze me? Whatever the reasons, I fell silent, not because I did not have anything to say, but because, somehow, the words just would not find their way to my fingers… I felt as if I had aphasia, or speechless and tongue-tied. Many drafts of blogs were left incomplete, “lost in translation” and often discarded. Even this blog took me three weeks to complete. It seems as if I lost my ability to speak spontaneously, to form words or name objects. Even when I could find the words, the words got lost or lost their meaning before they reached my fingers. While aphasia is contributed to brain damage often experienced due to a stroke, I cannot point to one, singular cause. It was not as if I woke up one morning and could not speak or blog anymore. As the frequency of my blogs during 2013 declined, I increasingly became aware of being tongue-tied. Many times I would start with a title for a blog or a first paragraph only to lose interest or lose my way halfway through the second sentence. Words, concepts, images would race through my mind but somehow the coherence, the rationale for blogging was lost in the inner noise and confusion. Suddenly I have become illiterate (a point to which I will return later), in a world I did not understand anymore. My experience reminds of a paper delivered at an interdisciplinary conference where the researcher used aphasia as metaphor to describe the feelings refugees and displaced persons encounter trying to adapt to their new environments, often in refugee camps in foreign countries. These individuals would then experience feelings of losing their “voice” in their attempt to negotiate their place within new dominant cultures or narratives. While my own loss of voice/words/coherence can possibly be ascribed to a number of factors; all of them share a number of characteristics such as feelings of being overwhelmed, at loss, feeling dislocated, and possibly a personal disbelieve that my speaking would make sense, be understood or make any difference. 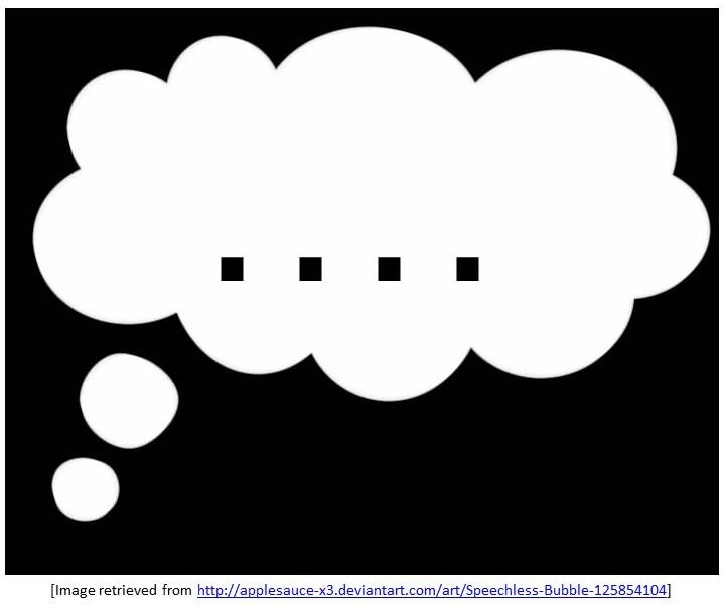 The more I reflect on aphasia as metaphor for my experiences as an educational blogger, I realise that the metaphor can possibly also describe the feelings many students and staff experience in the current flux in higher education. Like migrants or refugees trying to make sense of a foreign culture and expressing themselves in a language that is not their own; many of our students and staff may actually feel as if they have aphasia. As these students and staff try to make sense and verbalize their difficulty in expressing their meaning-making, faculty and management may often blame them as being “misfits,” not wanting to change, “not belonging in higher education” or worse still, being illiterate in the 21st century. Experiencing aphasia may therefore describe the feelings of many faculty and higher education staff when they try to describe and respond to the many and often contesting initiatives and discourses in higher education and open, distance and e-learning in particular. As higher education institutions respond to changing funding regimes, increasing accountability, demands from the marketplace and employers, as well as students as customers and consumers; many staff members may experience something alike to aphasia, being tongue-tied and at loss of words. Their experiences resemble the experiences of many migrants or refugees trying to respond to and negotiate sense and meaning in foreign and uninviting dominant cultures and narratives. At the end these staff members stumble from one performance agreement to another, failing to speak out, possibly giving up believing that speaking out may make a difference. In conclusion: Many authors reflect on the type of literacies (Elmborg, 2006; Hobbs, 2004) or intelligences (e.g. Gardner, 2008) all of us need in the 21st century. Mackey and Jacobson (2011) coined the notion of “metaliteracy” – and in my presentation during the Metaliteracy MOOC I spoke of “metaliteracy in beta.” In my presentation I referred to Freire (1989) who said that “The act of learning to read and write start from a very comprehensive understanding of the act of reading the world, something which humans do before reading the words” (p. xvii; emphasis added). Being “illiterate, for Freire, was not only the lack of skills of reading or writing; it was to feel powerless and dependent in a much more general way …” (Burbules & Berk, 1999, p. 52). Earlier I indicated that my feelings of being powerless, speechless and tongue-tied, made me feel illiterate. My silence or illiteracy could have been very easily understood as an inability to respond, or a lack of intellect or expertise in the field. And yet, my silence and being at loss of words was anything but being illiterate. I was overwhelmed, yes, and possibly even despondent of not being able to communicate, but not illiterate or non-caring. I fell silent because I cared, because I tried to read the world (Freire, 1989). How many of our staff and students are tongue-tied and speechless, but not illiterate? Burbules, N.C. & Berk, R. (1999). Critical thinking and critical pedagogy: relations, differences and limits, in Critical theories in education: changing the terrains of knowledge and politics, edited by T.S. Popkewitz & L. Fendler. New York: Routledge, pp. 45—66. Elmborg, J. (2006). Critical information literacy: Implications for instructional practice. The Journal of Academic Librarianship, 32(2), 192—199. Freire, P. (1989). Learning to question: A pedagogy of liberation. New York: Continuum. Gardner, H. (2008). Five minds for the future. Boston, MA: Harvard Business School Publishing. Mackey, T.P., & Jacobson, T.E. (2011). Reframing information literacy as metaliteracy. College & Research Libraries, 72(1), 62—78. 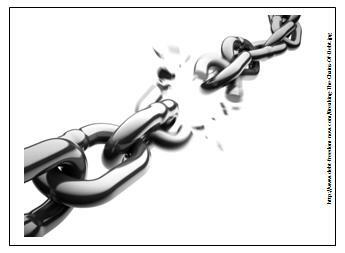 This entry was posted in Change.mooc.ca and tagged blogging, distance education, e-learning, higher education, metaliteracy, MOOCs, open distance learning, Paulo Freire. Bookmark the permalink. Paul, interesting observation on teachers and students being labeled as unwilling to change. I’ve worked with teachers who get categorized in this way and sense more that they are disorientated and unable to retrieve their traditional sense-making skills and naturally fall into survival mode, lay low and keep quiet. How far and how fast can we push change? Why do we assume that the ability to adapt is some sort of wondrous opportunity for everyone? Can sometimes the discarding of a simple assumption be the break that collapses an identity? I know people who constantly adopt new things to do old things without skipping a beat. Nothing fundamental changes–their activities are in the operational surface level of appearance. Change doesn’t change them at all. Dear Scott – you raise some very valid points. I agree totally with you that may faulty and students’ silence and speechlessness has nothing to do with not being willing to change but being “disoriented and unable to retrieve their traditional sense-making skills and naturally fall into survival mode, lay low and keep quiet” (your words). The disorientation may be due to dissonance between students’ and staff’ habitus and the new field – whether related to the discipline, the pedagogy (e.g. online), technical, administrative issues, or life circumstances, to mention but a few possibilities. The second point you raise regarding “how far and fast can we push change” – is a more difficult one. On the one hand I agree with William Doll’s (1986) proposition that learning happens when equilibrium is disrupted before being restored in a changed state. Doll (1986) writes that though teachers should consciously cause disorientation or disequilibrium, they should also “recognize that development, growth, and understanding are not instantaneous, direct, and continuous, but come in punctuated spurts. Time, especially the quality of time, is a key factor” (p. 15). he continues to state that it is a fine line between causing too much disruption or too little – and this makes teaching “an art” (p. 15). One of the challenges in designing learning in massive courses with huge enrollments is to structure learning in such a way to cause disequilibrium, but provide enough support and have early warning systems to identify students who have difficulty in responding to the disruption. On an organizational level, I think the same principles apply – structure, rationale for change, support and early identification. Despite the above points, I suspect that there are many individuals for which the current flux and increasing pace of change is and will remain just too much as they try to negotiate new vocabularies of making sense. Paul, Doll sounds like an interesting writer, thanks. I think it is vital that there exists an agreement with the student that being pushed off-balance is acceptable. Many people feel kidnapped and hauled off to strange lands by change and necessarily will not ask their abductors for help, nor will they cooperate. People like to have a say in what is selected as “in their interest” and will defend their right to decide. I was not technically qualified to do my last job (at a small community college) but as a self-directed learner was doing fine except when I asked questions. This usually triggered a kind of auto-teach in people and they wouldn’t shut up until they ran out breath. I was silenced by their explanations, presumption to knowing and paraphrasing my question into their question. Maybe people in education have become repeaters of known facts machines and if you remove their cloak of authority it turns out they don’t understand anything? Know it but don’t understand it. If where we go for our answers is revealed to be questionable we might find ourselves speechless? Scott, you raise many interesting points. The first aspect that made me reflect is your notion of consent between the educator and students that “being pushed off-balance is acceptable.” I was wondering, is disequilibrium not implicit in any learning context? When I enroll for courses, is that not, sort of, what I expect? If I understand Doll (1986) correctly (http://www.tandfonline.com/doi/pdf/10.1080/00405848609543192) without disequilibrium there is no learning. The metaphor you use of “being kidnapped and hauled off to strange lands” is a very powerful metaphor and most probably will resonate deeply with many educators in higher education finding themselves unprepared for a digital age, changing knowledge regimes, and educator/student roles. Finally, I agree that being confronted with people who are not really interested in your questions but ready to provide their dressed-up-as-concern-and-understanding answers, result in feeling dis-empowered and voiceless. What is scary is when “answers” result in losing my ability to relate to or feel understood. This happens, unfortunately, more and more between faculty and management. Disequilibrium exists in every learning encounter to one degree or another. Coming upon or being introduced to the unfamiliar introduces an unavoidable imbalance. Makes sense that a self-organizing being would naturally have to catch-up with novelty or difference from the standpoint of initial unknowing as a form of imbalance to the balanced position of understanding. (Or at least a faithful replica of what an understanding looks like). As a former instructor of construction apprentices I found there was an initial stage of normalization where a new idea needed to be taken as potentially possible first. Mentally, without admission of possibility the idea remained at best an abstraction. If done by hand, a choreographed series of gestures in obedience to a goal–always to be done in a rigid order for correct results without thought to what was being done. To bring this back to loss of voice. There is real potential in asking students for allegiance to a concept or procedure prior to their acceptance of them will create a person silenced in their ability to perceive for themselves. This sort of person may not be quiet but will present as a dumb repeater of other’s thoughts, quite agreeable, rigid and in conflict with their allowing themselves to be pushed around. Like you say, many instructors in higher education feel this way about technology. They’ve not been given a choice or time to come up with their own internal acceptance of technology into their practice so they gesture cooperation and resent and turn off. In my previous job I existed as an outsider. First by being unfamiliar with the culture of education and from there I remained an outsider in order to avoid being confined to any particular silo or belief system. There’s also my serious disregard of authority that made me more useful. When combined with my sense of connection to people and not their position, rules of engagement become less complicated and admitted a wider range of possibilities for me to work with. In some ways I was invisible to the theorized educators. The ones certain of themselves couldn’t see me so when I peeped they simply began teaching in their usual disconnected way. The instructors in conflict with change were between worlds, uncertain, vulnerable and reachable with care. We need to be careful about declaring how much puzzlement we drop on people. There are places you can go that may not allow you back or cause more damage than good. I’d like to suggest: “The Theoretical Foundations of Learning Environments” by David Jonassen and Susan Land, Routlidge 2nd ed 2012. Paul, thanks so much for the keen insight here. You touch on a key issue for writers faced with a conversation that has changed. In such a case, silent disengagement might be the most intelligent response. Other conversations will emerge in which our voices once again make sense. Keith, thanks so much. I think you are right on target with saying that “silent disengagement might be the most intelligent response.” My own speechlessness can most probably be ascribed to a number of inter-related factors – from my location as white, 54-year old gay male in a country dealing with the legacies of apartheid, and on a continent where being gay is generally seen and portrayed as deviant and marginal. Institutionally my identity as researcher and scholar are shaped by these and operational/ideological tussles – and “silent disengagement” is almost the only sensible response, at this stage.